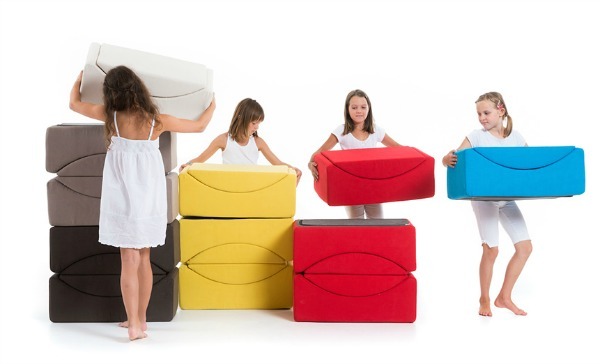 Lina Furniture is reaching for the stars by conceptualising children’s furniture of the future. 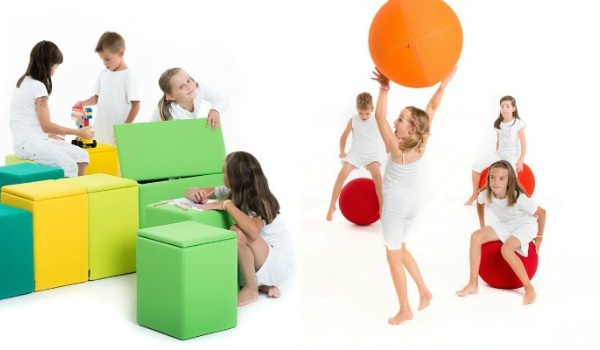 While one of these Moon Small chairs would a fun addition to a kid’s bedroom, I imagine positioning them en masse in a playroom, daycare or classroom would be a blast – functionally, visually and decoratively. 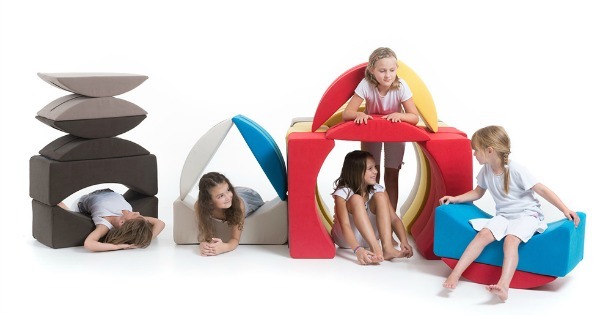 Part toy, part furniture, the multipurpose Moon Small elements attract children of all ages with their playful colours and two simple shapes. Children’s imaginations are set alight with the options at their disposal – to build a playground full of private corners, tunnels and daring obstacle courses; to rock and get lost in a book; create simple seats to chat with friends or recline with extra places to rest. Made of soft and comfortable foam, there are no sharp edges so the Moon Small elements are safe and adaptable. Lina Furniture is based in Slovenia and have won numerous interior design awards for their innovative furniture ideas in recent years. Also available in their children’s range are The Ball Single for rocking, rolling and occasionally sitting as well as The Box & The Cube for sitting and storing special treasures. 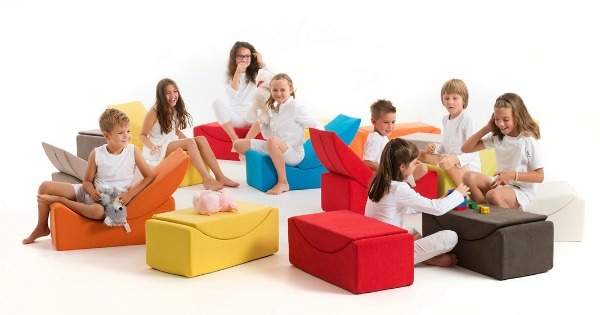 Lina Kids furniture is not yet available in Australia but if these seats look like something that you just have to have, then you can contact them directly for pricing and shipping information.